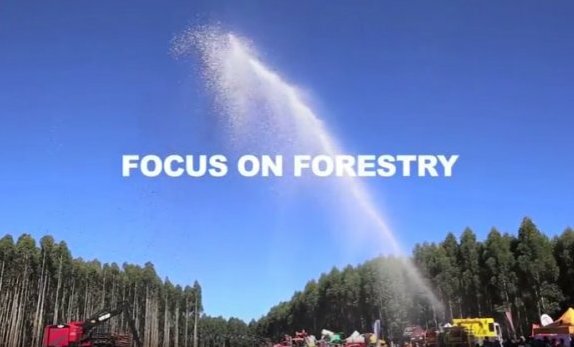 10 to 11 April: Focus on Forestry Conference (at Ingwenyama) the conference now covers the entire forestry value chain (including nurseries, fire management, silviculture, forest engineering and wood biomass). The theme for the conference is also Bridging the digital divide in the African forestry sector. Day 1 focusses more on nurseries, silviculture and fire; while Day 2 focusses on forest engineering and biomass harvesting. However, the presentations have been selected to ensure that full value is obtained from the attendance of both days. The keynote address by Arthur Goldstuck, the Managing Director of World Wide Worx, takes place on Day 1. Arthur will bring us up to date and beyond on the technology trends that are shaping business strategy, consumer use of technology, and the social landscape of the future. He will place all of this in a forestry context. Presenters have been sourced from South Africa, Ghana, Sierra Leone, Uganda, Swaziland, USA, Brazil and Italy. All presenters come with practical and useful management information for operations improvement. A comprehensive exhibit area will be located immediately outside the conference venue, which will allow delegates to interact with the suppliers of forestry services and or equipment to enable full value for the time invested at the conference. Networking is also a critical component of Focus on Forestry, and a braai will take place each evening after the conference for catching up with old friends, making new business contacts, or discussing business. The conference programme will be released within the next week (week of 28 Jan). Husqvarna have been very generous in their sponsorship of major lucky draw prizes for the conference. These include the main prize of an 18â€ petrol chainsaw, second prize hamper (Back Pack, Multique Pic Quic, Sports Watch, Thermos Mug and Measuring Tape) plus a second hamper (Sports Bag, Leatherman Skeletool, Golf Umbrella, Navy Bath Towel and Chrono Watch). Many other high quality lucky draw prizes will also be available. 12 April: Focus on Forestry Field Day - The field day will take place on a MTO Lowveld plantation close to White River (off the R40 between White River and Hazyview). The field day will consist of static exhibits and live demonstrations; and will again cover the full value chain. Conference attendance gives free entrance into field day. A change to this years Focus is that attendees will have the freedom to wander the field site at their leisure, as opposed to the structured field days of the past. Early bird registration discounts close on 28 February, so dont delay! We thank our major sponsors for their continued support of the event. These include AfreQuip/Tigercat as Platinum sponsors; and Husqvarna, Forestry Plant and Equipment, Hino, Green Projects/Ponsse and Bell Equipment as Gold sponsors. We are also thankful to MTO Lowveld for their partnership in the hosting of the field day! To register for the conference, please access www.cmogroup.net/focus-registration/. For registration and general queries, please contact the Focus Administration Manager, Nontethelelo Ramantswana (nontethelelo@cmogroup.net). For information on sponsorship and exhibits, please access www.cmogroup.net/sponsorship-opportunities/. For sponsorship/exhibit queries, please contact Andrew McEwan (andrew@cmogroup.net). For programme queries, please contact Muedanyi Ramantswana (Muedanyi.Ramantswana@mandela.ac.za). Accommodation discounts are available at the Ingwenyama Resort. To obtain the discount, when making your booking (https://ingwenyama.co.za/), please indicate that you are attending the Focus on Forestry Conference. Do not delay as accommodation is limited.